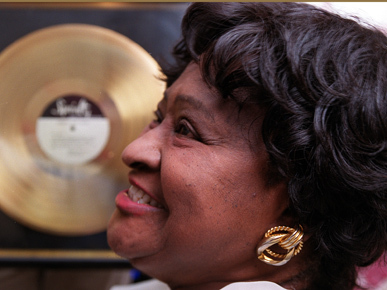 Birmingham native Dorothy Love Coates (1928-2002) was a well-known gospel singer and composer who sang with the Original Gospel Harmonettes during the 1940s and 1950s. Courtesy of The Birmingham News. All rights reserved. Used with permission. Photograph by Jerry Ayres.